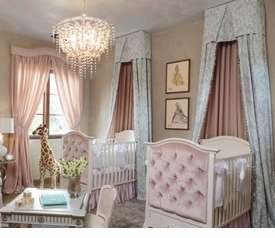 Custom painted baby furniture is a great way to make your nursery unique and special. These pieces offered by several noted collections such as Art for Kids, Newport Cottages, Relics, Sweet Beginnings and more give you an opportunity to pick your own design and finish or adapt an existing design or finish to your own color and design specifications. 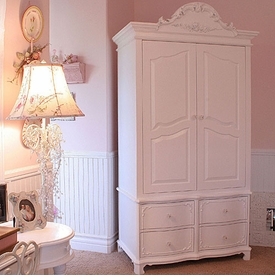 There are a wide range of custom pieces available including armoires, dressers, tables, desks, and beds. Creating one of a kind furniture is a fun way to bring a decorator's touch to your child's room.